We've been looking through old photos and treasures. I love this photo booth photo! When you find the chiclets teeth, you've found me. THE CHICKLET TEETH ARE ADORABLE. 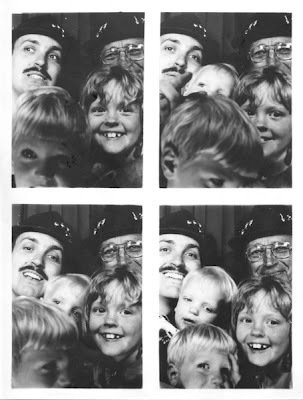 I LOVE THAT GRANDPA IS IN THE PHOTO BOOTH WITH YOU, AND IN GERMANY NONE THE LESS...HOW SUPER COOL.